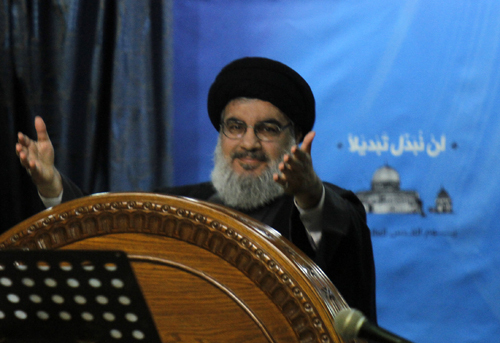 Full speech delivered by Hizbullah Secretary General, His Eminence, Sayyed Hassan Nasrallah, during al-Quds Day Ceremony held by Hizbullah in Sayyed al - Shuhada Complex in Rweiss on July 25, 2014. His Eminence personally partook in the ceremony. First, I would like to welcome you all and thank you for your attendance despite all the supposed security risks during the Holy Month of Ramadan. We, as well as many others, cancelled collective and popular Iftar dinners to spare burdens and to save the lives of people. However, all the developments in Gaza, the events in Gaza, and the specialty of al-Quds International Day which is commemorated on this very day, made it obligatory to meet today here, in this very place where we used to hold the funerals of our martyrs, receive our liberated detainees, hold the ceremonies of victory for our resistance and express our stances. Furthermore, I would like to salute the souls of Gaza martyrs, wounded, fighters, heroes, and steadfast people on this day that coincides with July War 2006. As such, we find it our obligation to salute the souls of our martyrs, the families of the martyrs, the wounded, the resistance men, and our resilient people who are moving along on this path and are fighting in more than one square to preserve the resistance, the strongholds of the resistance, and the axis of the resistance which represents the only hope. Brothers and sisters! Al-Quds Day was announced by late Imam Khomeini (May Allah sanctify his secret) and asserted by His Eminence Sayyed Ali Khamenei (May Allah prolong his life span) on the last Friday in the Holy Month of Ramadan, to be a motivation and a reminder of the central cause; so that al-Quds and Palestine remain in our hearts, minds, intellect, culture, conscience, memory, work, and priorities. Imam Khomeini (May Allah sanctify his secret) designated the last Friday of the Holy Month of Ramadan with all the holiness it represents to assert the sanctity of this cause as well as its human, divine, and Islamic aspects. Day after day, the importance of this announcement is being manifested as well as the dire need to mark this day by the nation. When we view the status of the nation today, we feel the importance of this announcement, this occasion, this ceremony, this responsibility, and this culture, especially following the Zionist occupation of Palestine and its control over all of historic occupied Palestine from the sea to the river besides expanding to other Arab territories. Since then, the Zionists and the Zionist leaders had a primary concern and target for which they worked for long years and are still working. This target is to liquidate and cancel the Palestinian cause, to consider that there are no Palestinian people, that the land of Palestine is no more the land of Palestine but rather "Israel", and that al-Quds is no more of any importance to Muslims and Christians alike, and that it became the eternal capital of the Jewish state. 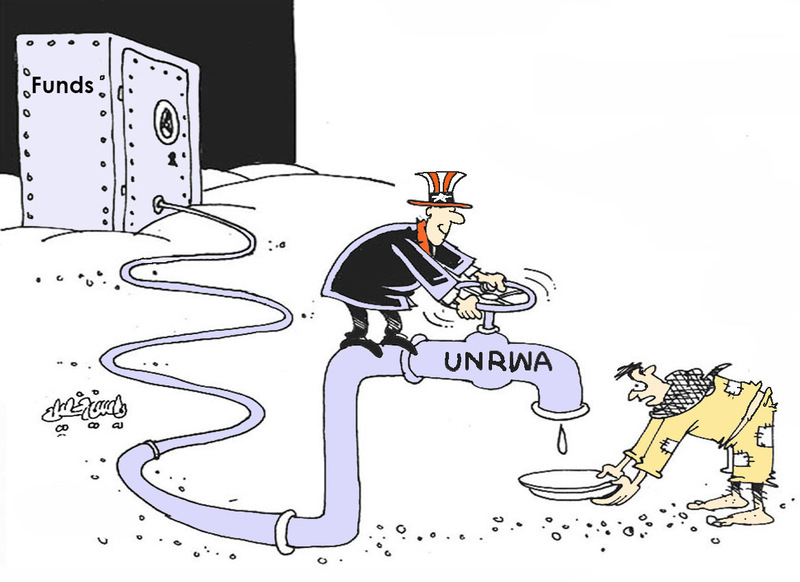 The goal that follows the occupation is liquidating and eliminating the Palestinian cause. It was absolutely out of question for the Zionists and their leaders to return one meter of the land of Palestine to its owners or to return one Palestinian refugee to his home. Thus we notice that the "Israeli" consensus on al-Quds and on preventing the return of refugees is absolute. According to the "Israeli" scheme, this is at least what Palestine is to them. They knew that a cause with such a magnitude, a holy land like Palestine, and a proud people like the Palestinian people can't be eliminated and canceled in a year or two or from the first or second generation. Thus they set a long-range scheme to achieve this goal and make it come true. Anyone of us can analyze what took place following 1948 and 1967 until our very day so as to discover the landmarks and steps of this long-range scheme to liquidate the Palestinian cause. Creating other central causes for every country, for every people, for every region, and for every state in our Arab and Islamic world is another example. This aims at absenting the central status of Palestine and al-Quds and imposing other concerns and priorities. The enemy managed to achieve this goal to a great extent. We must not suppose that our enemy is always unsuccessful. No! He would be unsuccessful if we sought to make him so. However, if we left him alone, or if we were neutral, or if some among us assisted him - as what is taking place in the Arab and Islamic world - the enemy would be able to make achievements and consequently, the enemy would manage to create central causes other than the Palestinian cause to our peoples, countries, and regions. Another example is isolating the Palestinian people. Isolating the Palestinian people from the other peoples in the region and in the neighborhood is the most dangerous thing they achieved in the past years or the past decade. What does isolation mean? It means isolating the Palestinian people on the emotional, psychological, and field levels as well through hurling the Palestinians in struggles or confrontations or conflicts or enmities with the neighboring peoples and states and imposing these struggles and conflicts on them. In this framework, indeed I am not holding anyone responsible. However, we always need to make revisions especially as far as this issue is concerned. In fact, people in the region, in the Arab world, as well as in the Islamic world have reached a state in which Palestine or anything Palestinian no longer means anything to them. 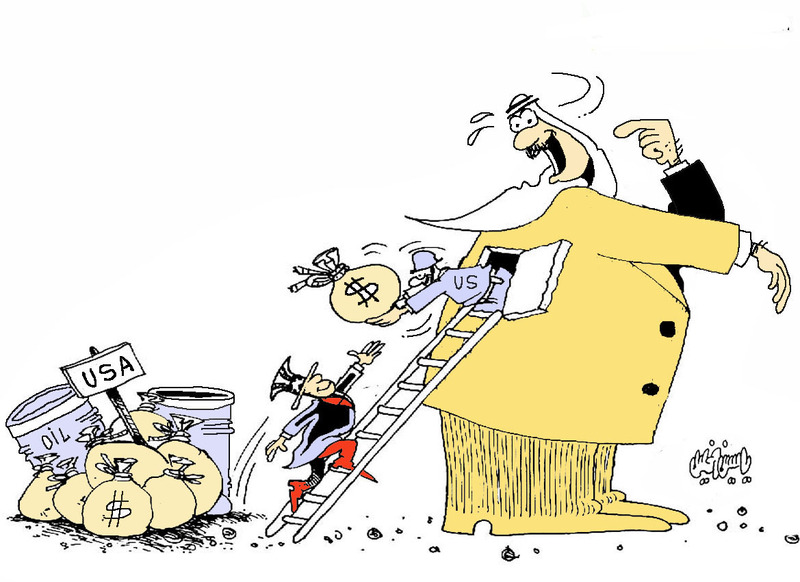 This is being witnessed in some Arab media unfortunately. I will tackle this point again when talking about Gaza. Even in Lebanon, this is widely being exploited. Do you still remember in previous occasions when I used to tell you that they deliberately choose a Palestinian suicide bomber to plant grudge, enmity, and disparity between the Palestinians and us? 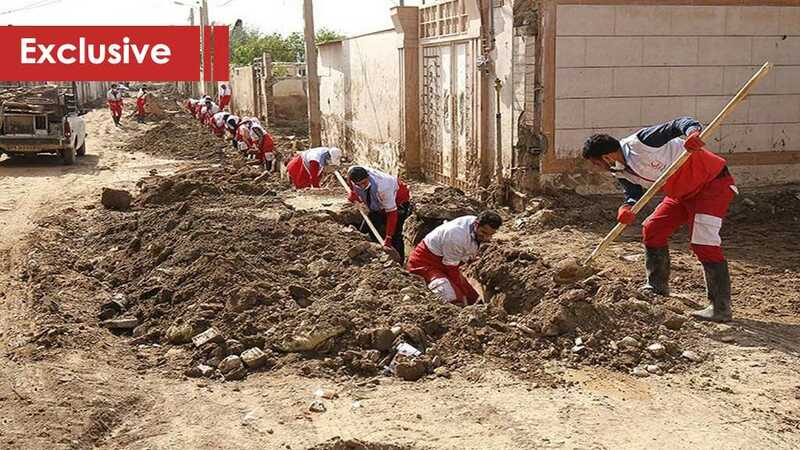 Weeks ago, when the issue of Rassoul Azam Hospital was evoked, it was out of hand to contain what was being circulated in the media to the effect that a tunnel was discovered from Burj al-Barajineh Camp to Rassoul Azam Hospital. These are not trivial details. This is part of a black room that has been in action for decades and years to break any relations or links between the Lebanese, Syrians, Iraqis, Egyptians, and...on one hand and the Palestinians on the other. So that the former would tell the Palestinians that they themselves must address their problems and find out what to do. This war and this cause still impose itself on the region and on the world despite all of these conspiracies and challenges for many reasons on top of which is the Palestinian people. Another example is the steadfastness of some Arab states especially Syria which did not succumb to the settlement and the conditions of the settlement following Madrid Conference and rather adopted and supported for the resistance. Another example is the victory of the blessed Islamic Revolution in Iran under Imam Khomeini (May Allah sanctify his secret). This revolution adopted Palestine, al-Quds, the Palestinian people, and the Palestinian resistance. 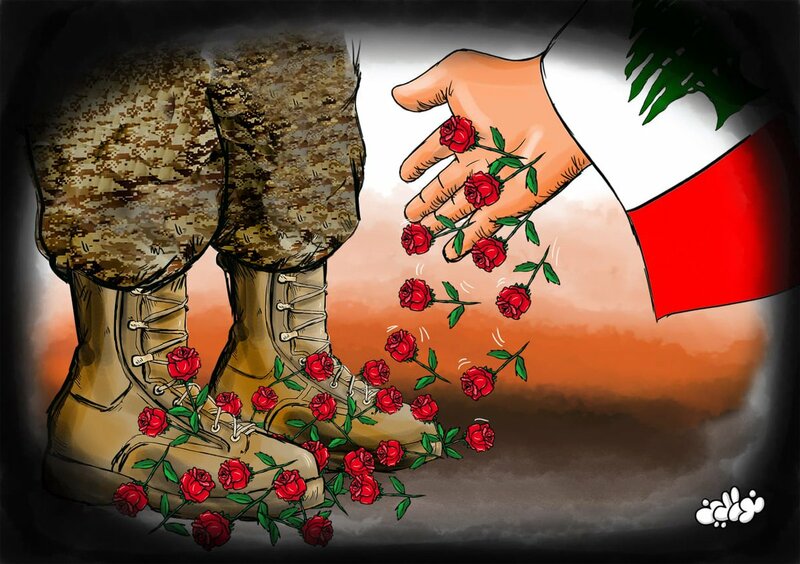 Another example is the resistance movements in Lebanon and their victories in Lebanon and their toppling of several US and "Israeli" schemes for Lebanon and the region. However, the main reason remains the Palestinian people because they endured unyielding despite all the pain, suffering, wounds, massacres, and the elements of despair, frustration and closed horizons. The Palestinian people did not yield to despair, suppression, and surrender. They did not forget the keys of the houses that the grandfather usually inherits to the father and the father to the son. This is part of a psychological plan. So whether man puts a plan or not this is how things go by instinct or by nature. Since the very beginning - 1948 and 1967 - the various Palestinian resistance factions apart from their ideological, intellectual, and political orientations, as well as the Palestinian people are still assuming this cause and struggling for it. 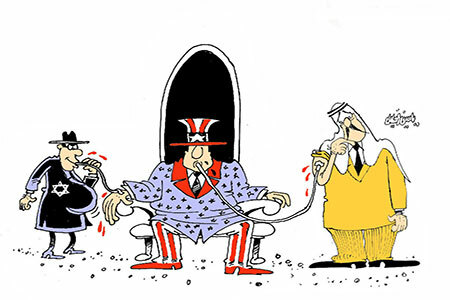 Indeed, I am talking about a long-range plot or scheme on which the United States, the west, and the "Israelis" are working and are being assisted by many Arab regimes along decades. This must be recorded. So it is not now. The thrones of many Arab regimes were conditional to protecting "Israel", the existence of "Israel', and defending "Israel". This program is still valid and active, and what many of our states and peoples are witnessing and the conditions we reached bear witness on this active program. Moreover, what we are experiencing today as a nation and as an Ummah is the most dangerous situation ever since the occupation of Palestine due to the systematic destruction that took place in our region. It started with faithful, truthful, and kind popular revolutions with causes and demands. However, some sides rode the wave and steered it in the direction that appeals to them. What we are witnessing today in our region is a systematic destruction of states, armies, peoples, and societies too. We were talking about the destruction of states and the destruction of armies. However, today we are witnessing the destruction of peoples and communities and their disintegration on the psychological, social, and emotional levels. Enmities which can't be addressed in decades and centuries are being fabricated. This is not something easy at all. What is taking place in more than one Arab country today and the risks threatening the other Arab countries too are not easy at all. For example, Syria was - and will Inshallah remain - a strong wall in face of the Zionist scheme. Syria was the strong wall and will remain the strong wall in face of the Zionist project. It was the strong bosom embracing the resistance and the Palestinian cause. We all know the magnitude of the war imposed on Syria. Iraq has also entered a dim tunnel in the name of Islam and Islamic Caliphate, unfortunately. 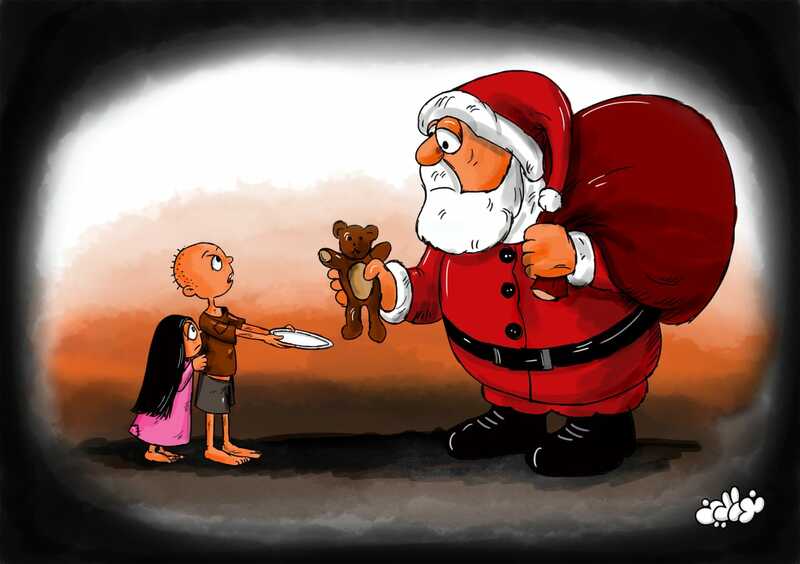 Tens of thousands of Christian families were displaced from Iraq. Christian churches are being destroyed. Moreover, the Sunnis who disagree with ISIL have no choices. It is either pledging allegiance to ISIL or being slaughtered. The Shia who disagree or do not disagree with ISIL have no choice except being slaughtered because they are accused of apostasy. The same is the case of the religious and racial minorities. See what they are being subject to in Mosel and the regions where ISIL prevails whether in Iraq or in Syria. Today - on al-Quds Day - we, as Muslims and as an Islamic movement, must declare our condemnation to what Christians and Muslims are being subject to in Iraq. We also condemn what the shrines of prophets - such as Prophet Yunus and Prophet Danial - are being subject to. Even in categorization these are categorized as Sunni entailments and not as Shia entailments in Iraq. I want to express to you personal fears as far as this issue is concerned. I fear this scene of demolition of mosques, churches, worshipping places, and shrines including the shrines of prophets might be furnishing an international psychological atmosphere to what is more dangerous - the demolition of Al-Aqsa Mosque. If the claimed Islamic Caliphate has the right to demolish mosques and churches and the shrines of prophets, why don't the Jews have the right to demolish Al-Aqsa Mosque?! I fear this might turn to be something familiar and normal. I am not drawing conclusions or making judgments. However, things will become common, normal, and familiar as if nothing is taking place. Demolishing mosques, churches, and shrines of prophets and entombing activities are becoming common. Today our nation is in its worst state. However, the first victim is Palestine. The primary target was and is still the Palestinian cause. All of us must know where we put our feet in this time of ordeal, conspiracy, liquidation, and the confusion of what is right with what is wrong. We must be very careful to see where we put our feet, what we say, what we do, where we fight, where we make peace, and where we make war. This is the great challenge which our nation is facing, especially the peoples of the region neighboring Palestine and in Palestine. In this framework comes the "Israeli" terrorist war on Gaza that has been waged for days by now. In this framework was the war on Lebanon in 2006 and on Gaza in 2008. What has the target of the war always been? Succumbing, humiliating, breaking, surrendering, disarming, snatching all the elements of power you have, leading you to frustration, and convincing you that there is no choice except yielding to the "Israeli" conditions. However, in 2006 and 2008 the results were different. Today in Lebanon and marking the July War, we can understand and comprehend, and feel absolutely all what is taking place in Gaza and on our people in Gaza in July 2014. That's because it is the same thing that happened with us in July 2006, starting with the pretext of kidnapping the three settlers which is similar to the pretext of the two captives. Let's start with the pretext for the war. Is this the reason behind the war? "Israel" wants to seize the opportunity. "Israel" thought that the Gaza Strip has been besieged for years. 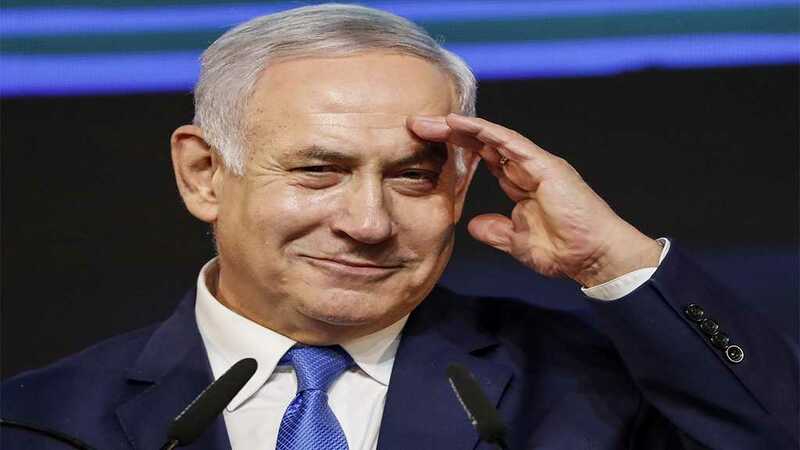 Taking the regional situation, the international situation, the psychological and moral situation into consideration, "Israel" thought that now it is a historic golden opportunity to make Gaza succumb, to break Gaza, and to put an end to it before "Israel". This was the very same project of the war of July 2006 which was to bring along a Neo Middle East. You still remember Ms. Condoleezza Rice. Now the "Israelis" wanted to exploit the issue of kidnapping the three settlers which so far it is not known who kidnapped and killed them. At least in 2006, it was known who kidnapped the two soldiers. However, here the oppression is that a kidnapping operation took place and the Palestinians or the resistance movements were accused of it. Thus the "Israelis" took this as a pretext to wage a war at this timing. So the pretext of kidnapping the settlers, the air war, the thousands of aerial raids, the continuous artillery shelling, the battleship shelling, the perpetration of massacres, the killing of women, children, and civilians, and the demolition of houses, schools, and mosques are all similar to what took place in Lebanon during July war 2006 as we all remember. However, in Lebanon, they also demolished churches. They also displaced people from their houses. Recall also the field operation that started few days ago, the international community silence (or the silence of part of the international community), the connivance of part of the international community. The USA has been covering this war since the first moment. It is also providing it with money, weapons, media, and the political stance. The west too is offering its support as well as the Security Council and the United Nations. This is besides the connivance and silence of some Arab regimes. That is in addition to holding the resistance responsible for the blood, the martyrs, and what is befalling the Gaza Strip and acquitting the enemy from these crimes and massacres. The "Israelis" are benefiting from previous experiences and morals. In July War 2006, the "Israelis" from the first day put very high goals. Then they started to make concessions. However, in the last week of the war, who was begging to reach the end of the war? It was the "Israelis". Why? See the memoirs of George Bush and the memoirs of Condoleezza Rice. In the last two weeks, Ehud Olmert was contacting them saying that if they continued with the war, "Israel" would be eliminated. Humbly speaking, even we in the resistance in Lebanon do not comprehend this conclusion - how it would be that if the war continued "Israel" would be eliminated? This is at a time, "Israel" was being told by some Arab regimes to carry on in the war and crush the resistance. This is being reiterated these days. Carry on in the war and crush them or at least impose on them humiliating conditions. Do not stop. However, the "Israelis" themselves came to be convinced that they are not able to carry on with the war. They sought help from the Americans. When the Americans have a serious will, the entire region gets along, and it did, and things were settled. Isn't this what took place in July War? This is what changed the equation: the battlefield of the heroic resistance fighters, the popular steadfastness of women, children, men, and civilians in all the regions, especially the regions which were targeted with shelling and killing, and the political steadfastness. At one day, the resistance may have one title. On the other day, the title of the resistance may change. What took place in Lebanon is similar to what took place in Palestine. The titles are numerous but the goal is not only Hamas. The goal is the entire resistance in Palestine, every tunnel in Gaza, every rocket in Gaza, every Kalashnikov in Gaza, every gun in Gaza, and even every drop of resisting blood that moves in the veins of the people of Gaza. This is the goal now. In the horizon, a time would come when the "Israelis" would reach a place in which they can jot continue. This is what took place in Gaza 2006. When they were not able to get along they turned to the Americans: We want a way out. This is what took place in 2006. 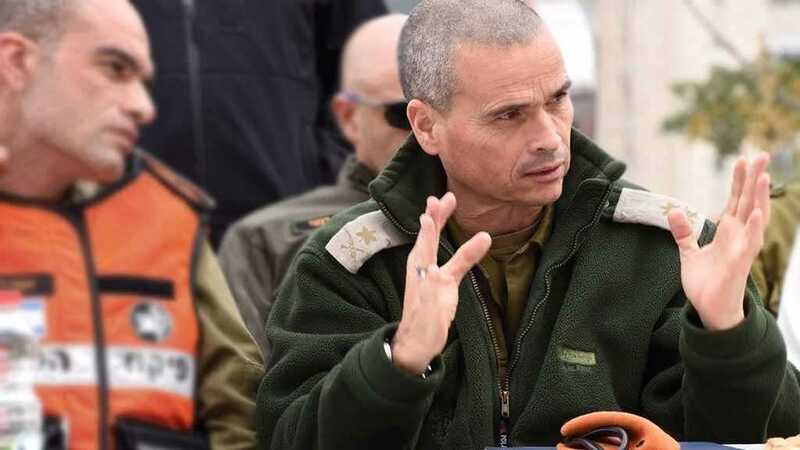 Take into consideration that the battle is taking place between two sides in the battlefield and that the "Israeli" side is one of the strongest armies in the world. However, the most important point is that following July War 2006 in Lebanon and Gaza War in 2008, this army formed committees. You still remember Winograd - don't you? They made committees, drew lessons, and made discussions. Since 2006 until our very day, they are holding drills, maneuvers, getting armed, getting prepared, and gathering information. 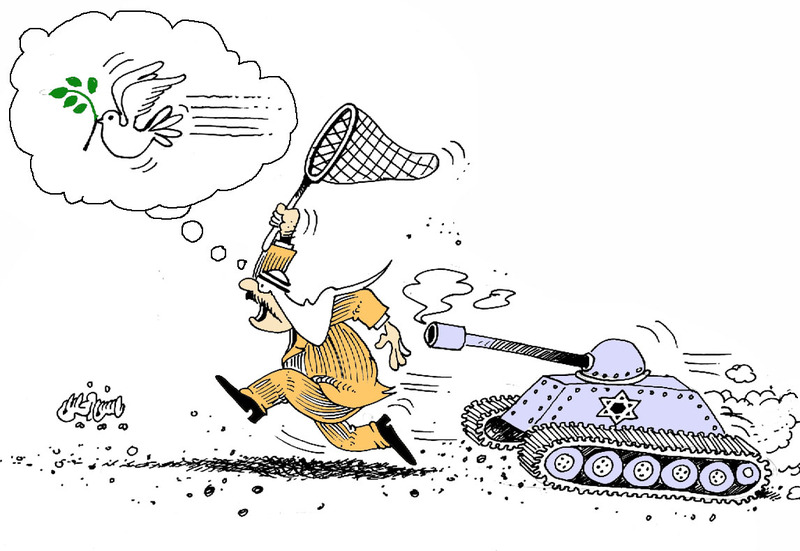 1-	"Israeli" confusion in defining the goal in the operation or in the war. So far, did anyone understand what the goal of the war is? They have implicit goals which I mentioned a little while ago. However, what is the announced goal? Is it the same as the implicit goal? No! They did not start the war with a high ceiling. Why? Be careful. That's because they are afraid. From the very beginning they are afraid from failure. That means that they are benefiting from the War in Lebanon. In Lebanon, they started with the goal of eliminating the resistance, handing in its arms, expelling the resistance from the south or at least from the south of Litany River, and handing in the two captives unconditionally. 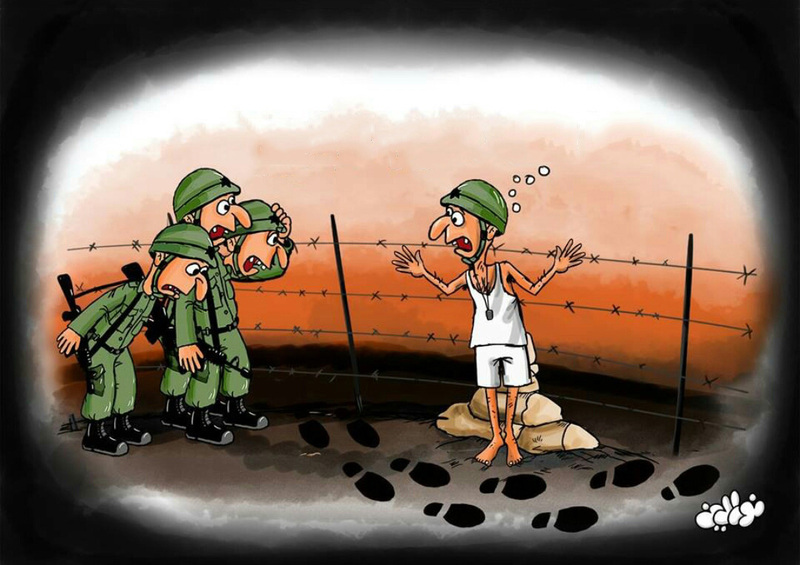 Now do you realize that the "Israelis" did not talk about the "Israeli" soldier captive so far? They are still silent on him. So they did not start with a high ceiling. Why did not they start with a high ceiling? It is supposed that they are taking lessons from all the previous experiences. It is supposed that they have rebuilt their army. Indeed, I don't mean to make an interpretation by what I am saying. I am tackling it because it has to do with Gaza and it is related to Lebanon too as well as to the entire region. I will tackle this later. So the "Israelis" did not dare to announce goals. They did not even say that the land operation aimed at demolishing the tunnels at the borders. That means that they are putting humble goals so that they would achieve them and thus say: We realized the aim from the war. So there is "Israeli" confusion in specifying the goal. It is supposed that the "Israeli" information capabilities be absolute from the land, air, and sea concerning the abilities of the resistance and its arms, rockets, storehouses, the places of storing and manufacturing rockets, rocket platforms, and the location of tunnels. However, it was revealed that there is an enormous "Israeli" information failure. This is very important to Gaza as well as to Lebanon. Why am I saying that it is important to Lebanon? If you are following the "Israeli" media, at the time the enemy is fighting in Gaza, they are talking about Lebanon War II and Lebanon War III. The war is in Gaza now, but the enemy is looking at your eyes. How are you reading the war in Gaza, and what are the lessons you are drawing from the war on Gaza? Well, months ago the "Israeli" air force leader who seemed to have taken his post recently and was still inexperienced said that following all the rebuilding efforts, the "Israeli" air force is able to put a decisive end to any war on Lebanon - in case it takes place - within 24 hours, and to put a decisive end to any war on Gaza - in case it takes place - within 12 hours. I am saying so because I doubt that the Lebanese were following the "Israeli" statements made during the past months. They were busy somewhere else. Well now we are on which day in the war on Gaza? It is day 18. The "Israeli" air force is talking about Gaza which is under siege. Well, the "Israelis" failed to harm the leadership and control system in Gaza. With our respect to the martyrs, the enemy is fabricating leader martyrs. At times, the enemy talks about assassinating leaders who are still alive. The "Israelis" have reached this situation. 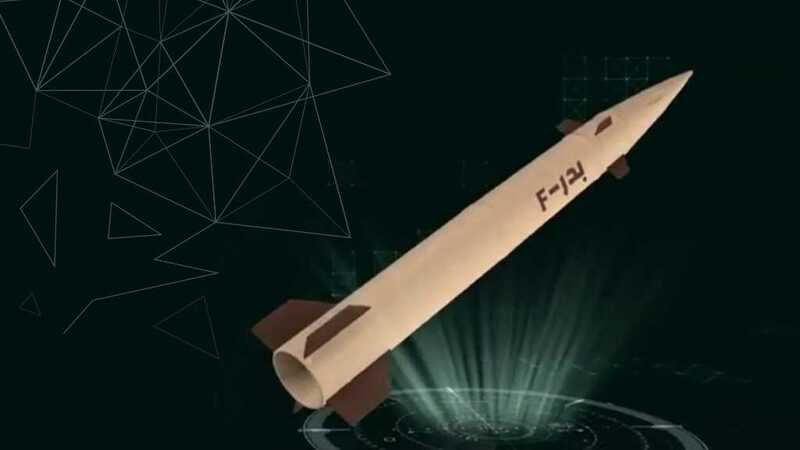 They have failed to halt the rockets and to prevent its launching though "Israeli" warplanes are in the horizons as well as radars, unmanned aerial vehicles and all what is related to the information and survey apparatuses are at the service of the "Israelis". We as well as you know what does launching rockets in a fighting atmosphere of this kind is. The enemy also failed in the land operation. It is enough to quote what some "Israeli" commentators said. One commentator said: "Our army failed." So it is not I - the Lebanese man who loves the resistance and is its ally - who is saying so. It is the enemy on the tongue of one of the important commentators in the Israeli entity. He said: "Our army failed. Hamas and Jihad remained steadfast and killed the backbone of the infantry brigade." What does he mean in that? Golani Brigade and Egoz Unit. The "Israelis" failed in the land operation. 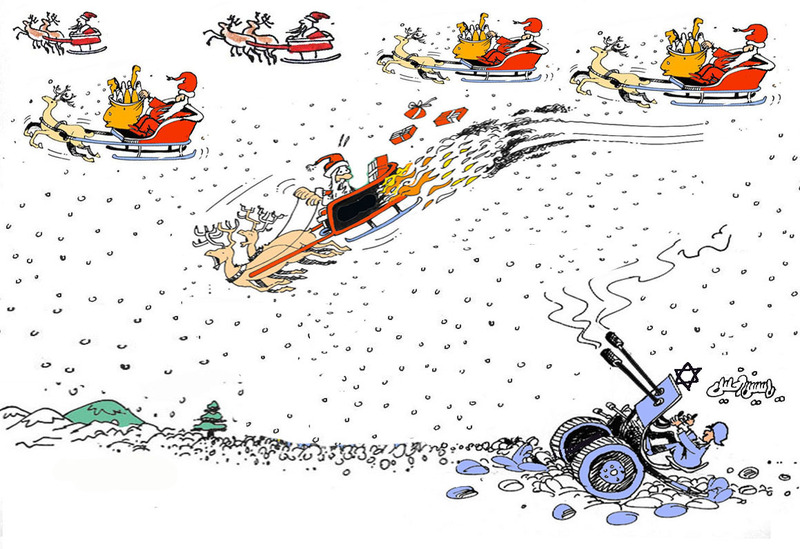 The magnitude of the losses in leaders, generals, soldiers, tanks, and vehicles is enormous. They feel much awe from staging a broad land operation. This is what we see in the face of Netanyahu, the chief of staff, Yaalon, and all of their faces. It is they who are besieged though they are the stronger power. They are afraid, terrified, and scared from this step. Thus from the very beginning and because of the lack of confidence in themselves and in their soldiers, the "Israelis" resorted to killing civilians and children, to targeting the incubating environment of the resistance, and to break the will of the people as was the case in Lebanon during July War. Their dream was to see demonstrations in the south or Bekaa or Beirut or Dahiyeh or in any other place in Lebanon staged especially by those displaced from their houses calling on the resistance to reach a ceasefire or to yield. However, thanks to you - O the most honorable, dignified, and proud people - that did not take in July War. Today they are repeating this experience anew in Gaza Strip to impose on the leadership of the resistance - the political leadership and the field leadership - to accept for whatever price a ceasefire or to succumb. That means that when the "Israeli" Army went to Gaza, they did not go as a fighting army but rather as an army fighting children. This is how we knew it in Lebanon and that was its case all through the past years and decades. As a final conclusion for the "Israeli" evaluation we recall what Ehud Barak and the "Israeli" War Minister Peretz in the first cabinet after Olmert left his post said. After years or working and drawing lessons and morals, what did Ehud Barak say and was also reiterated by "Israeli" chiefs of staff? It is a short phrase. Now this phrase fell before the gates of Gaza. Indeed, he was threatening Lebanon at that time. He said that the next war which "Israel" would get engaged in would be rapid and decisive and would end up in a crystal clear victory. 1 - From the very first day, the goal is clear: lifting the siege and indeed guarding the resistance. 2- Steadfastness in the field. 3 - Excellent achievements in the field. 4 - Taking initiatives in the field and fighting behind the enemy lines. 5 - Proceeding in rocket shelling under the enormous pressure of air force shelling. 6 - Shelling rockets that are reaching unprecedented places. Indeed, comparing between July War in Lebanon and July War in Gaza necessitates taking the different conditions and characteristics into consideration though there are common points. In July War, the farthest point we reached was Al Khadeira. However, our brethrens in Gaza from the first day reached Tel Aviv. This is the first time in which rockets are launched from inside Palestine to targets inside Palestine to cover the entire area of Palestine. This is a marvelous achievement. Why did I say that we know, understand, and feel with what is taking in Gaza? 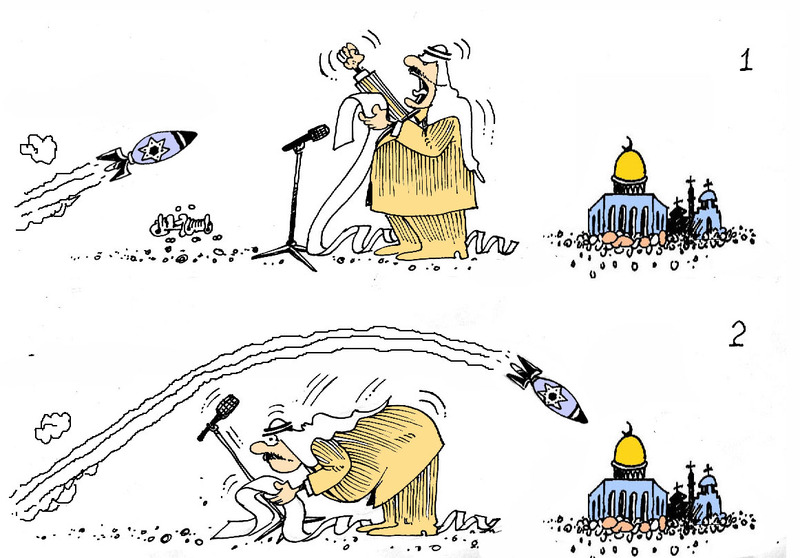 Now some people may say that the Palestinians launched 100 rockets. It is a phrase that would simply be written in the media. What does "100 rockets" mean? That means carrying them, manufacturing them, hiding them, preparing them, and protecting them. This requires enormous efforts and trusting in God, in themselves, and in the resistance besides popular steadfastness and wide incubation. So far, they did not witness in Gaza any demonstration, sit-in, stance, or popular pressure against the resistance. On the contrary, the people are telling the resistance: We are with you. Let's all be killed but let the siege be lifted. We notice the political steadfastness and refusing all the enormous international and regional pressures. What does it mean that the Palestinian resistance leadership refuses to reach a cease-fire since the very first days while it is offering martyrs from among women, children, and civilians while the Israelis are making haste to reach a cease-fire? This has great political, moral, and military implications. See also the popular uprising in the West Bank that started offering martyrs. Thus through the tripartite equation of the field, popular steadfastness, and political steadfastness things would lead to imposing new equations on the enemy and this requires some time. Brothers and sisters! It is not easy for Netanyahu and Israel to give in to a Palestinian victory and to give the Palestinian resistance this achievement. 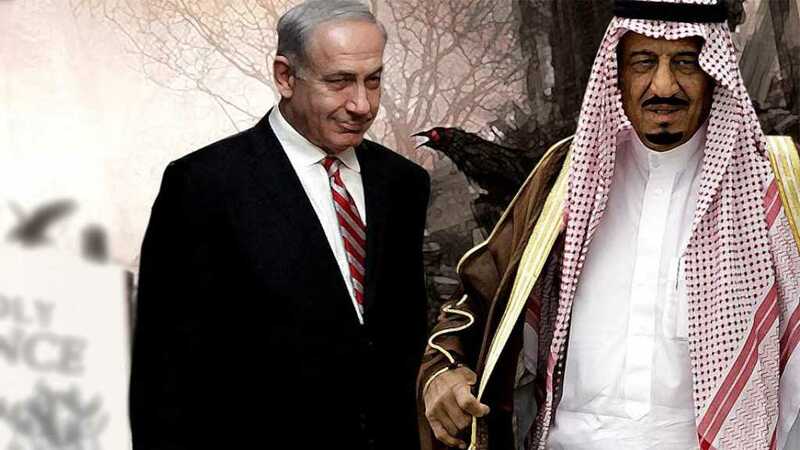 I am sure that some Arab leaders are now contacting Netanyahu and calling on them to carry on and not to give the Palestinians an achievement or a victory. However after all, "Israel" does not work for some Arab leaders. "Israel" searches for its security, economic, and political interests. So the resistance is the side that would impose on the "Israelis" the solution as was the case in July 2006, and the "Israelis" would shout and call on the Americans to find a way out for the crisis. This is what is seen in the horizon. 1-	Let's put aside all the disputes, discrepancies, and disagreements over the other causes and squares. We may still disagree on the political stance or on other squares. We may differ in our stance. We may differ in our evaluation. However, we must put all of this aside to approach altogether the issue of Gaza as a cause of a people, a resistance, and a rightful, just cause with nothing obscure, uncertain, or equivocal about it concerning what is right and what is wrong. That's because some may say we must go back to other places. No there is nothing obscure or disputable about that. Neither the mind nor the religion nor values say that this war taking place now in Gaza is disputable. Thus let's approach it as a cause of a people, a resistance, and a rightful and just cause. Even if we still disagree on other issues, Gaza with its blood, body limbs, oppression, steadfastness, and heroism must remain above every other consideration. Unfortunately, from the very first day, we are hearing stances on some Arab media outlets which accuse the resistance and hold it responsible for the blood and the continuity of the war evoking people against it. Some Arabs were also rash enough to express through some media outlets their sympathy with the "Israelis" and the "Israeli" Army. They were calling on the "Israelis" to give the finishing stroke to Hamas. This is something shameful and sorrowful. No matter what discrepancies were, it is sorrowful and even shameful to watch an Arab person on an Arab media outlet expressing his sympathy with the "Israeli" soldiers who are killing children in Gaza because of political disputes. At least let those who do not want to show sympathy with the Palestinians remain silent. Let those who do not want to show sympathy with the Palestinians and support them remain silent and spare themselves and their nation this shame. 2 - Let the largest number of Arab and Islamic governments adopt the goal of lifting the siege from Gaza which the Palestinian resistance leadership is calling for, protecting this goal, defending it, and defending the political leadership of the resistance from pressures practiced on it to reach a ceasefire without achieving this goal. That's because the siege is daily death for the Palestinians in Gaza. It is not killing for 18 days; it is killing around the years with no horizon or future. 3 - What I will say now has been repeatedly reiterated. Let everyone offer the political, moral, media, financial, and materialistic support and arms support if possible according to his capabilities and also apart from the existing discrepancies. We must remind here that some bids are taking place. We must recall here that Iran and Syria along with the resistance in Lebanon and especially Hizbullah, according to its capacities, have for long years made everything possible to support all the factions of the Palestinian resistance whether on the political, media, moral, financial, materialistic, arms, training, logistic, or the various experiences level. Today, there are some sides which are not doing anything positive to Gaza and Palestine apart from wasting their time in bids. Who is standing next to the Palestinian people and Gaza and who is not? I do not want to get engaged in quarrels with anyone. However, it is enough to any neutral person to calmly make a list for the states and movements under the axis of the resistance and another list for the others whether they are states, organizations, movements... Then let him make a review over the past decades. What did the axis of the resistance offer to Palestine, al-Quds, and the Palestinian people? blood, sacrifices, getting engaged in wars and struggles for the sake of Palestine, offering support and capabilities despite all the risks, dangers, and consequences in the world, sieges, sanctions, and wars which were mainly imposed because of Palestine. On the other hand, let the others see what did they do for the sake of Palestine? Where did they fight for the sake of al-Quds? What did they offer the Palestinian people? Moreover, what did they offer for all the other wars? What did they offer in all the other squares that serve "Israel" and see to eliminate the Palestinian cause which I talked about first? I do not want to say more than this in this atmosphere of overbidding. Confronting this event, we in Hizbullah were and will always stand next to the Palestinian people - all of the Palestinian people - and next to the resistance in Palestine - all of the factions and the resistance movements in Palestine with no exception. 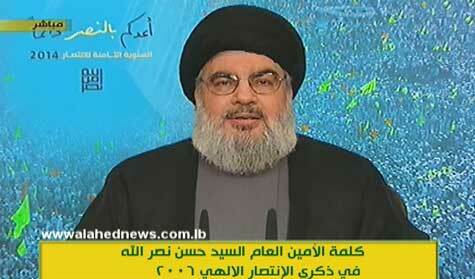 We in Hizbullah never spared any kind of support and assistance which we could offer. We in Hizbullah feel we are true partners in this resistance - we are partners in jihad, brotherhood, hopes, pains, sacrifices, and fate too. That's because their victory is a victory to us - all of us - and their defeat is a defeat for us - all of us. We in Hizbullah are following all the minute details of the events of the battle taking place now in Gaza and Palestine. We are following all the field and political developments. Hereof, we tell our brethrens in Gaza: We are with you and next to you. We are confident in your steadfastness and victory. We will do all what we find our obligation to do on all levels. 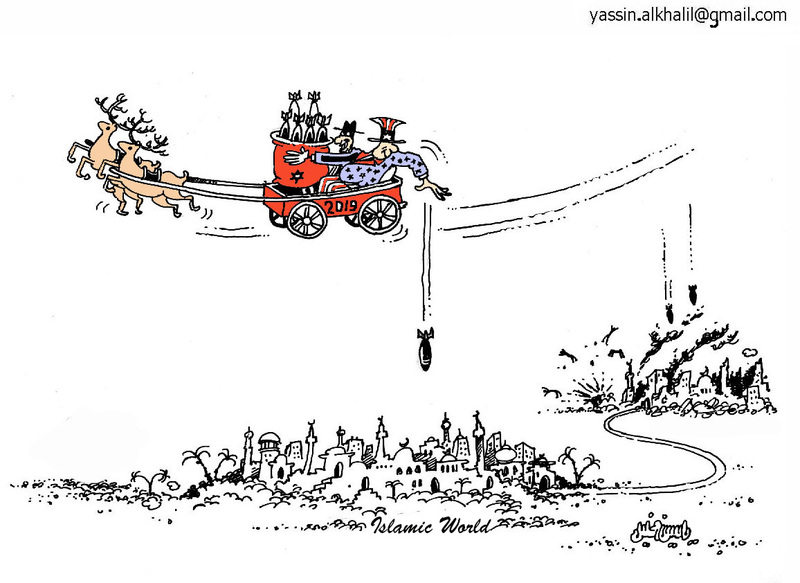 To the spider web - to the Zionists - I say: You in Gaza today are moving to and fro in the sphere of failure. Do not go further to the sphere of suicide and collapse.